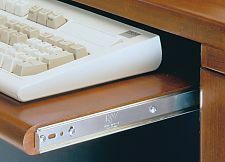 This variable-height slide offers discreet storage and comfortable use for your home or office keyboard. 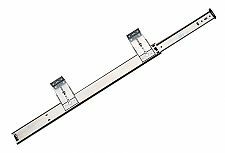 Adjustable mounting brackets that can be set at seven different heights and can be reversed for inboard and outboard mounting. Precision ball bearing slides provide smooth, quiet movement and reliability. 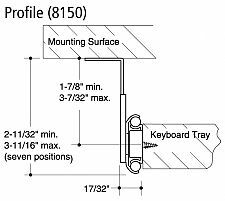 Keyboard is held securely in open position by a friction latch that allows easy closure. Anti-rebounding stay-closed design holds keyboard in closed position yet allows easy opening.